The perfect home-based business for Disney lovers! Magical Vacations is always on the lookout for guests that LOVE to talk to people about Disney! – Guests who have a passion for all things Disney; Guests with extensive Disney travel experience; DVC Owners that are always in resort; Professional self-starters with a knack for sales, people who enjoy helping others; Guests who are obsessed with providing exceptional service, Guests who know how to make the “Magic” happen for others. Are you a DVC Owner? 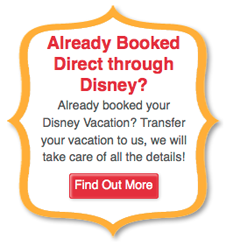 Are you already booking vacations for others on the Disney Retail website? Do you have an attention to detail that surpasses all others? Do you currently have a Blog or personal webpage promoting your Disney Destination Expertise with a following? Are you able to communicate effectively, professionally, and with proper grammar, spelling, and English skills both in writing and over the phone? Do you convey your excitement, passion, and friendliness without face-to-face interaction? Do you have a passion for a Disney level of guest service? Have you visited WDW or DL in the last three years, several times? Have you have taken at least one Disney Cruise in the last three years? Are you planning to take one in the next year? Do you understand the Disney Magical Moment and can you make that “Magic” happen for your clients on a daily basis? If you answered yes to the above questions, then we’d like to hear from you! Magical Vacations LLC accepts new agents at various times throughout the year. We look for MAGICAL AGENTS who want to enjoy a fantastic full or part-time job while helping others find and experience their perfect Disney vacation! One of the best things about being a Magical Agent, is that you own the business! Set your own hours, Work from your own home, and contribute as much time and effort to your business as you want. Prospect for your own sales leads and investing considerable effort to find new clients. Consult with guests over the phone and by e-mail to assist them in securing their perfect Disney vacation at the lowest price possible. Book travel reservations for your guests via phone and online reservations systems. Track bookings for changes and any additional savings for your guests. Earn a generous commission for the travel you book for your clients and we charge no hidden fees or monthly service charges. We even pack the Minnie Boxes for you and send them off to your clients on your behalf! Right in step with you the whole way is the entire Magical Vacations team. We’re here to provide you with the training and support necessary for your business to be as successful as you want it to be. We’ve been doing this a long time and can’t wait to share our experience and advice with you. You’ll enjoy access to a complete personalized support system specially designed with the needs of your business in mind. We choose our Independent Contractors carefully, and want nothing more than for you to have a thriving, vibrant, and exciting business. PLEASE NOTE: If you are looking for a company where you just book your own personal travel, this is not the agency. Although we have a generous program for personal travel, you have to "EAR"n the ability to do that. Ready to get started? If you’re serious, really serious, about providing exceptional customer service and doing what it takes to build your own business, then please fill out the form below to get started! Have you ever been a Disney Cast Member? When? In what position? When you visit WDW, where do you typically stay? What is your favorite Disney Resort to recommend? Why? Are you currently a DVC Member or an annual passholder for a Disney themepark? How did you find out about Magical Vacations? Why did you choose to submit your request to join this team? Do you have a personal blog or website that you use to promote your Disney knowledge? Magical Vacations is a REFERAL ONLY agency. **We do not send out leads** Knowing this, how will you build your business? How many visits to Walt Disney World have you made in the last three years? Package details? How many Disney Cruises have you taken? What ship(s) What itineraries? How many visits have you made to Disneyland in the last three years? Where else have you been in the world? Do you consider yourself an international traveler? What's the most important factor in planning a Disney vacation for someone else? Why would you make an exceptional Disney Travel Expert?